The average cost of memory care in Jacksonville is $3,800 per month. This is lower than the national median of $4,650. To help you with your search, browse the 3 reviews below for memory care facilities in Jacksonville. On average, consumers rate memory care in Jacksonville 4.7 out of 5 stars. Jacksonville is home to close to 43,000 people, over 19 percent aged 65 and older. Located in North Carolina where approximately 170,000 people have been diagnosed with Alzheimer's disease or dementia, Jacksonville has one memory care facility to help provide a stable environment and specialized care for people with cognitive impairments. 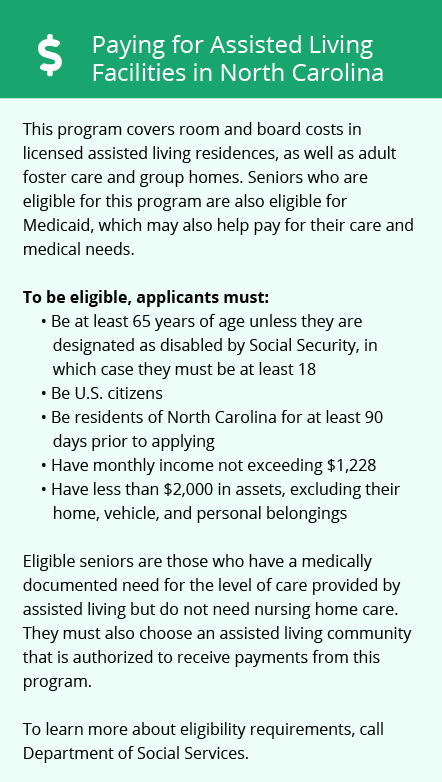 Also called Adult Care Homes (ACHs), these types of facilities are regulated by the North Carolina Division of Health Service Regulation and must follow special provisions for serving seniors with dementia. The city of Jacksonville is home to world-class medical facilities, including those that specialize in brain health and dementia care such as the Onslow Memorial Hospital and the Brynn Marr Hospital, in the event of a medical emergency or illness. The cost of living index in Jacksonville is 89.1, which is lower than the state average of 96 and the national average of 100. This makes Jacksonville an affordable option for families paying for memory care for their loved ones in the city. Summers in Jacksonville and hot and humid with average July highs around 89 degrees. Winters are short and cold with average January lows around 33. The city only gets around an inch of snow per year, which makes the area ideal for seniors who prefer warmer temperatures. Crime in Jacksonville is ranked on a scale from one (low) to 100 (high). In Jacksonville, violent crime is ranked 19, which is lower than the national average of 31.1. Property crime is ranked 57.4, which is higher than the national average of 38.1. Families with seniors in memory care in the area should make sure the memory care facility has adequate security measures in place. Memory Care costs in Jacksonville start around $3,800 per month on average, while the nationwide average cost of memory care is $4,799 per month. To see a list of free memory care resources in Jacksonville, please visit our Assisted Living in North Carolina page. 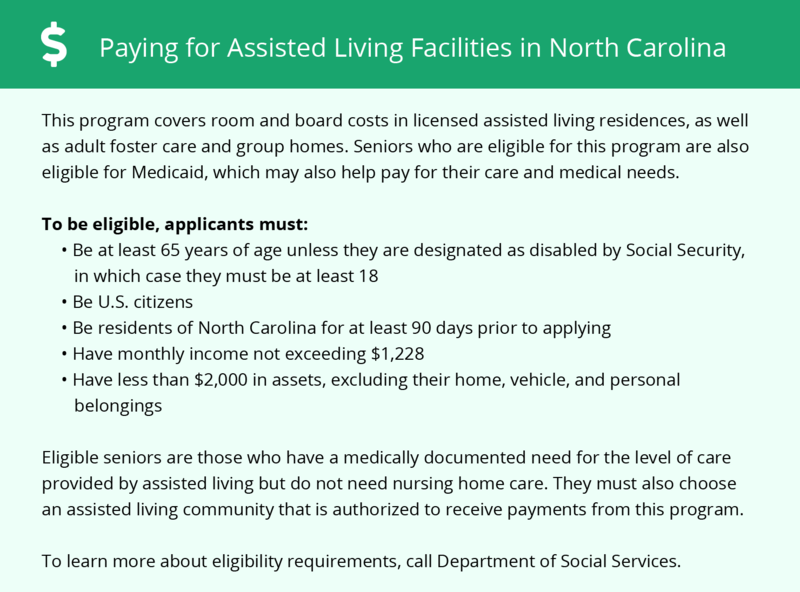 Jacksonville-area assisted living communities must adhere to the comprehensive set of state laws and regulations that all assisted living communities in North Carolina are required to follow. Visit our Memory Care in North Carolina page for more information about these laws.